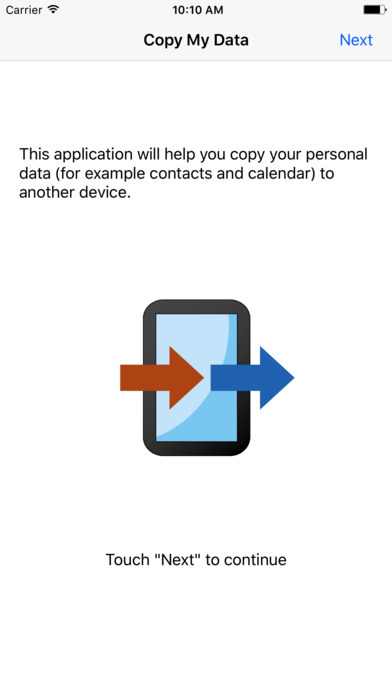 Copy My Data provides a fast and easy way to transfer contacts, calendar entries and photos from one device to another over a WiFi network. Simply download the app on both devices and it will guide you through the process of copying your data in a few easy steps. 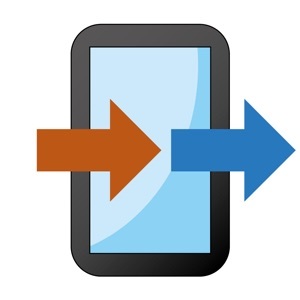 Please ensure that both devices are connected to the same WiFi network and that the network is not configured to prevent the devices from communicating. Most home networks allow connected devices to communicate, however some corporate and public networks may be configured to prevent this.